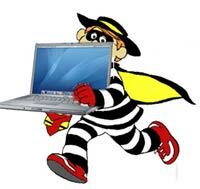 On January 26th, a laptop was stolen from a car parked at the Hilton Garden Inn in Troy, NY. What makes this notable is that the laptop belonged to an employee of Pioneer Bank and contained sensitive customer data. With the increasing use of mobile devices in the workplace, the risk of significant data breach is very real if employees are not sufficiently protective. Pioneer notified customers over that the laptop contained some customer personal information including social security numbers, and bank account and debit card numbers. It is unclear if the data on the stolen bank laptop was encrypted or password-protected. Pioneer Bank’s privacy disclosures say that it puts in place computer safeguards and secures its files. The bank and authorities have not indicated if the stolen laptop was encrypted or password-protected. How many customer’s are at risk? The bank has not disclosed. 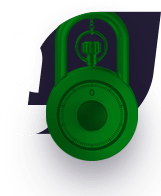 The nature of the data is significant enough where any customer potentially exposed should take action such as replacing their debit cards and changing their account numbers. The bank is offering free credit and identity theft protection services for potentially exposed customers. Bank officials have not revealed the circumstances of the theft or which police agencies are investigating. They have declined to elaborate on the incident after issuing a statement and sending a letter to customers whose information may be at risk. If possible, you should avoid exposing such sensitive data by storing it on a mobile device. If you do, you deploy description technology to protect the data and implement anti-theft technology. 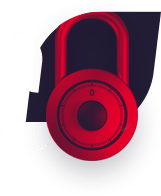 Comodo Mobile Security for Android along with android antivirus app, for example, includes anti-theft functionality that can facilitate the recovery of the device.